Here’s the reason why problem finding is an increasingly valuable skill. Most brands already have plenty of people solving their marketing problems; the ads, the TV spots; everybody’s already busy workin’ on that stuff. What you wanna look for are the problems that clients don’t know they have, yet. Problems which might be around the corner. I define problem finding as a playful screwing-around and “what if-ing” that often results in giant leaps forward; leaps nobody was expecting because the problem didn’t exist until you pointed it out. Think of it as Creative Research & Development. And we do it by looking at the client, at their customers, their stores, their website. We look for bottlenecks, redundancies, unmet customer needs. And then we solve this new problem, elegantly. Redbox launched in 2002 with kiosks in a few McDonald’s stores. They had a great run; their ubiquitous grocery store kiosks surpassed the number of Blockbuster locations in 2007 and for the year 2010 they had one billion rentals. For a long time now, Redboxes have been a convenient way to pick up a movie while making a grocery run. And returning the DVD was easy because you were likely going back for more food within the week anyway. Well, we all know where this is going: DVDs and DVD players are fading. In fact, the last DVD player I saw was endlessly playing Toy Story for fidgety kids in my dentist’s waiting room. 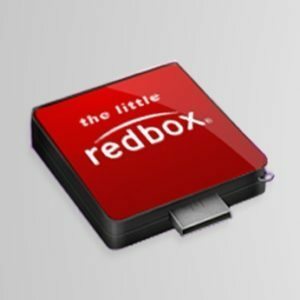 If you agree that the DVD format is indeed headed for a long dirt nap, it’s clear Redbox is gonna need more than just some cool ads. Jocelyn and Lindsey’s identification of the real problem (“Save Redbox”) seems prescient. Their solution was The Little Redbox. Ideas are cooler than ads. Okay, all you other SCAD ad students. Your Uncle Luke loves you, too. I’m using tons of your projects out there in speeches I give all over the country. You guys rock, too. I just thought this particular project illustrates an important point: problem-finding can go to some interesting places problem-solving can’t.